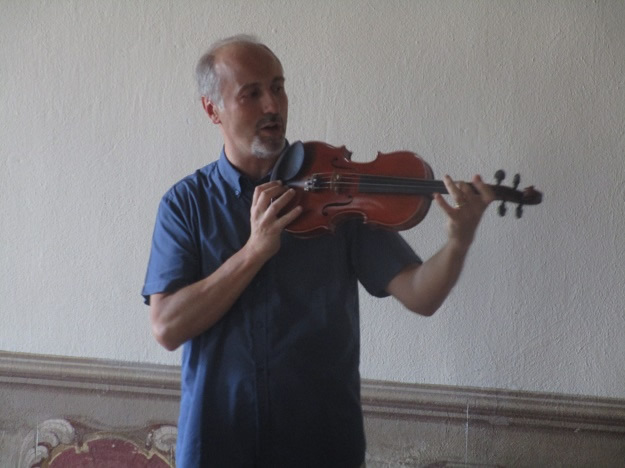 Born in Monza, Italy in 1965, Villa began to study the violin at the age of 12 and later enrolled in the International School of Violin Making in Cremona. Villa studied under and apprenticed with the esteemed master, Stefano Conia. 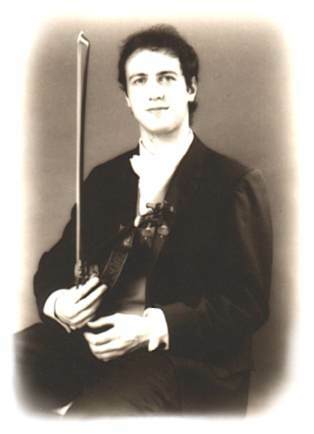 After graduating in 1983, Villa’s instruments became highly appreciated in many competitions, where his work was recognized with many awards, 15 of which were gold medals. 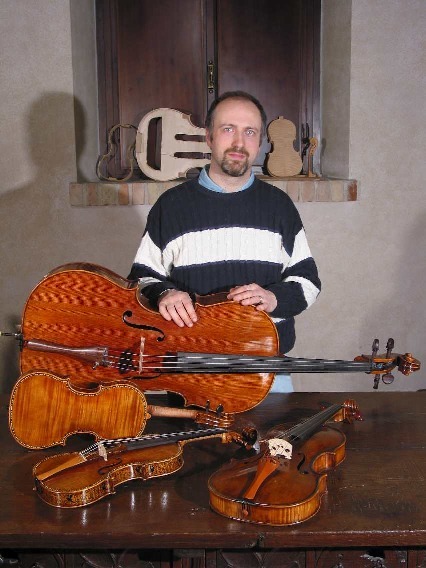 He has made many violins, violas, and cellos inspired by the models of Stradivari, Guarneri, and Amati. Along with his use of the finest woods and materials, Villa incorporates his knowledge of music to perfect the sound of his instruments. 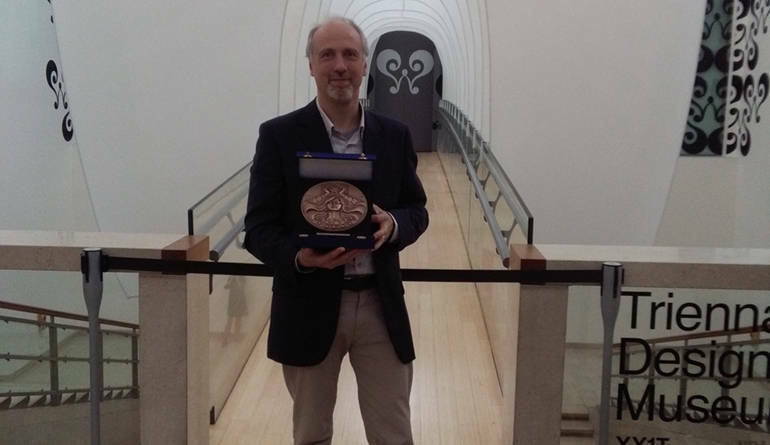 His instruments are so well recognized, one of his violins has been on display at the Museum of the International School of Violin Making in Cremona since 1983. Villa has also pursued his passion for music by founding the recording label MV Cremona which is committed to promoting previously unpublished Italian music in 1999. 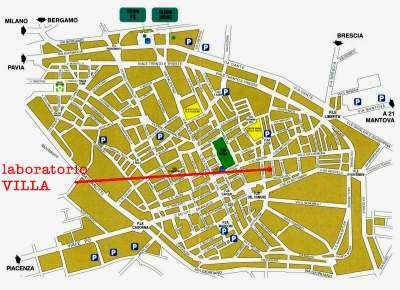 His work in music also included several studies on Cremonese composers from the 17th and 18th centuries, collaboration with several specialized magazines, a published monograph of Marino Capicchioni in 2005, and an essay published in a “L’estetica sublime” catalogue in 2011. 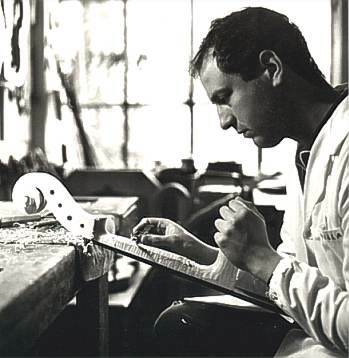 Villa also co-authored and was featured in a film about the making of an inlaid violin, similar to the work of Stradivari, called “L’Eccellenza di Stradivari”. Along with his many successes, Villa was also recognized with a Masters of Arts and Crafts award and was listed in the “golden book” of Italian Masters. A fine Guarneri model violin by this popular maker, this instrument has a lovely tonal quality with ample clarity and power.